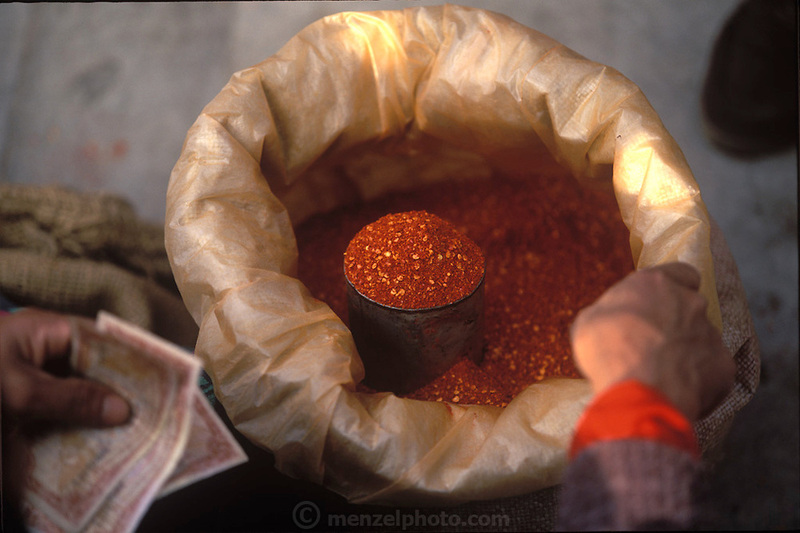 A vendor makes a sale of dried and ground up chili peppers at the Sunday market in Wangdi Phodrang, Bhutan.. (Supporting image from the project Hungry Planet: What the World Eats.) Grocery stores, supermarkets, and hyper and megamarkets all have their roots in village market areas where farmers and vendors would converge once or twice a week to sell their produce and goods. In farming communities, just about everyone had something to trade or sell. Small markets are still the lifeblood of communities in the developing world.